Fernando's self interview. It is all about innovation! Innovative, International, Online Dating AND Social Networking Method by STRICT personality similarity. Innovative online dating & social networking method by STRICT personality similarity. 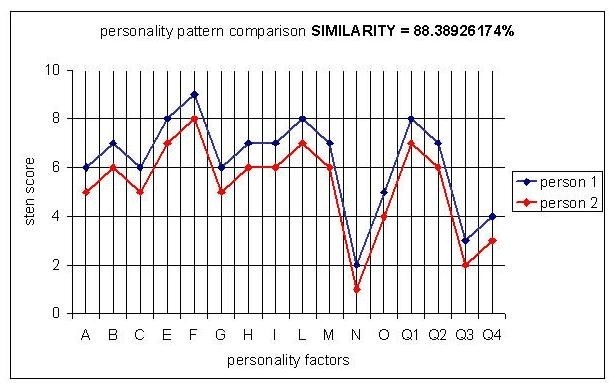 Personality matching method with personality tests like 16PF5 and high precision advanced math equations. WorldWide, there are 5,000 online dating sites, but no one is using the 16PF5 or similar to assess personality of its members!!! My name is Fernando Ardenghi and I am a 45+ years old Argentinean electronic engineer with several post graduated courses. I have invented a new on line dating / social networking method named LIFEPROJECT (startup, ready to launch). Papers showing the newest & freshest Research in Theories of Romantic Relationships Development clearly show: compatibility is all about a high level on personality similarity between prospective mates for long term mating with commitment. 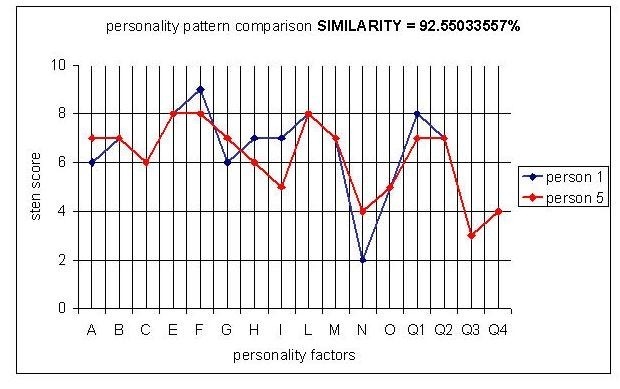 I plan to acquire the license of the 16PF5 normative personality test, available in different languages to assess personality of daters, or hire a Psychologist to develop a proprietary test with exactly the same traits of the 16PF5, to construct a copycat version of the 16PF5 (one per language and norm), but improving it using Item Response Theory / Rasch Scaling (the Gold Standard for Modern Test Theory) with different questionnaires for men and women and all the questions rearranged in a Rasch hierarchy. It will be used as the personality test for a new dating site intended for serious daters, offering solely strict personality* similarity*. 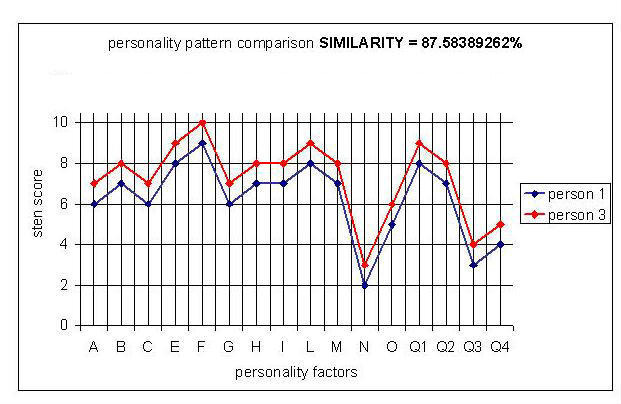 *personality: measured with the 16PF5 or similar normative test. *similarity: calculated using the high precision quantized pattern comparison method I had invented, named LIFEPROJECT method (part of pattern recognition by cross-correlation). Daters: men and women, normal_persons* over 26 years old. *normal_persons: persons with 23 pairs of chromosomes and any psycho-patologies. Men should take the test at least 3 times and also synchronize with biorhythms (for future Research purposes). Women not taking contraceptive pills should take the test at least 3 times: 7 days before, in their real periods and 7 days after, and also synchronize with biorhythms (for future Research purposes). Women taking contraceptive pills should take the test at least 3 times: 7 days before, in their false periods and 7 days after, and also synchronize with biorhythms (for future Research purposes). Both men and women should say if they are under other hormonal treatment. For each persons "internal compatibility" will be calculated between #1_try and #2_try, and between #2_try and #3_try. If "internal compatibility" between #2_try and #3_try is equal or slightly higher than "internal compatibility" between #1_try and #2_try, then #3_try is the one to be added to database. I think lots of persons could be interested in meeting/contacting other persons sharing nearly the same personality because they will be *predictable* for them. Fernando Ardenghi (45+, electronic engineer UTN 1995) inventor of LIFEPROJECT METHOD, a compatibility matching engine by strict personality similarity using the normative 16PF5 test or similar. 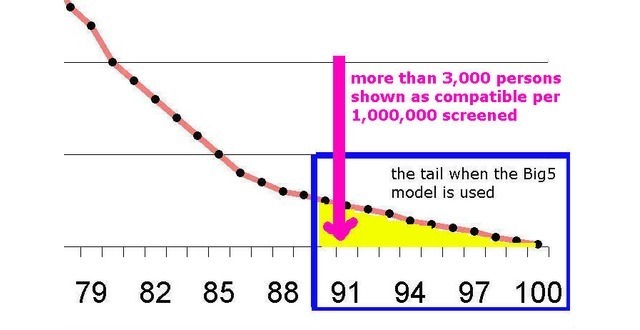 what is new, different or better in this approach than what's already available? innovative on line dating / social networking method by personality. 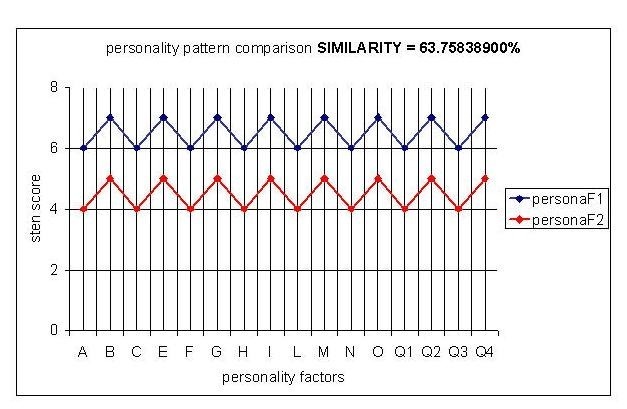 Personality matching method with 16PF5 test available in different languages. This 16PF5 test is not in use by any competitor. International proposal, could be launched in 5 or more countries at the same time. It is a personality profiling online dating / social networking site. A post crisis profitable dotcom company. I had failed several times to launch it since 2001. The annual fee for end users is expected to cost USD300 for the first year, with a yearly re-subscription of USD30. Fortunately the US, Canadian, European and Latin American markets remain enormous. The "unexploited" Latin American market is now over USD100 million. The price is the average of competitors, but price is not related to costs, because these clients need a price which will work as a barrier to avoid others play with their feelings. Direct cost is USD 22, selling cost is USD 62, salaries are USD 31, expected margin is USD 185 (160%) because this market is like selling coke, icecreams and pop corns in cinemas, cost are not related to selling price. Selling price should be a barrier to avoid non desirable persons. Actual online dating sites offering compatibility matching methods are only fueled by big marketing budgets and not by serious scientific evidence. b) inadequate quantitative methods to calculate compatibility between prospective mates, like eHarmony which uses Dyadic Adjustment Scale or other sites which use multivariate linear / logistic regression equations o other equations. *) the 16PF5 or similar normative personality test to measure personality of normal persons over 26 years old interested in serious dating. No actual online dating site offering compatibility matching methods uses the 16PF5 normative test available in different languages. *) a new quantitative method to calculate compatibility between prospective mates, based on quantized pattern comparison (part of pattern recognition by correlation) named LIFEPROJECT method. 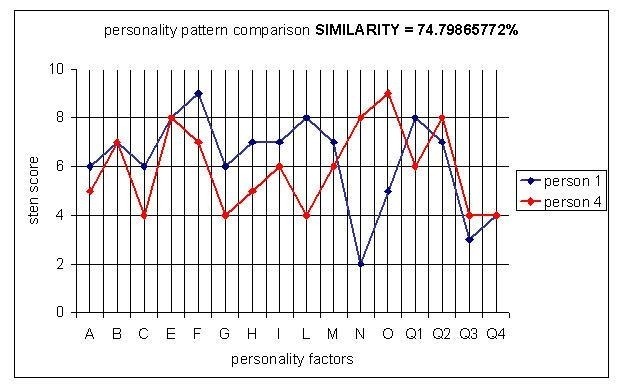 try to prove if only high level on personality* similarity* between mates is the core of relationship stability and satisfaction for normal persons over 26 years old interested in serious dating. 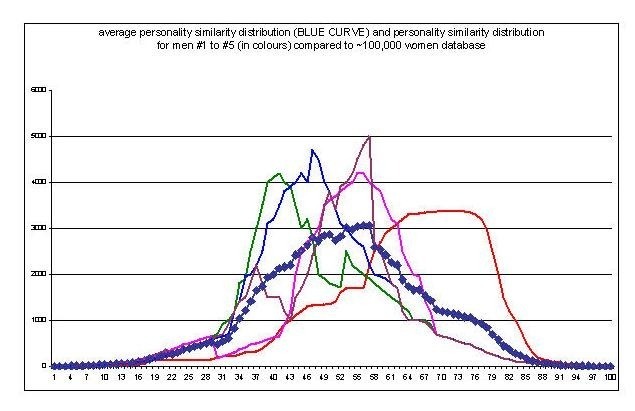 *personality: measured with the 16PF5 normative test in different languages. *similarity: calculated using the method I had invented, LIFEPROJECT method. First person in the World to say the entire Online Dating Industry in 1st World Countries is a HOAX. First person in the World to say many Online Dating sites like eHarmony, PerfectMatch, Chemistry, PlentyOfFish Chemistry Predictor, MeeticAffinity, Parship, Be2 and others are performing as placebo, like patent medicine. First person in the World to discover the Online Dating Sound Barrier problem. First and Only person in the World to solve the Online Dating Sound Barrier problem. 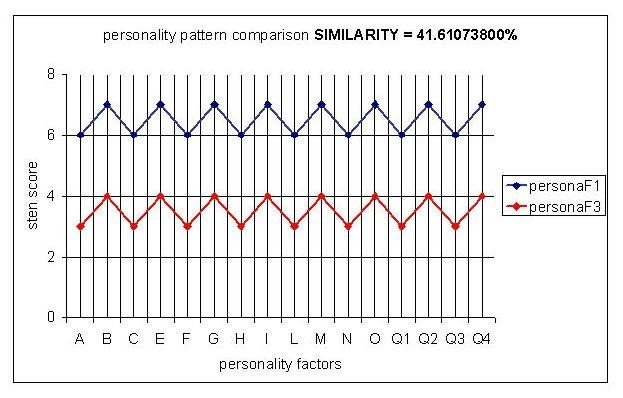 First person in the World to suggest the normative 16PF5 test or similar like 15FQ+ to measure personality of daters instead of ipsative tests like PerfectMatch or Chemistry or other normative less powerful tests like the Big5. First person in the World to say Online Dating sites should check if women are taking contraceptive pills or other hormonal therapy. First person in the World to reverse engineering several online dating sites offering compatibility matching methods. First person in the World to notice Personality Based Recommender Systems are like compatibility matching engines. 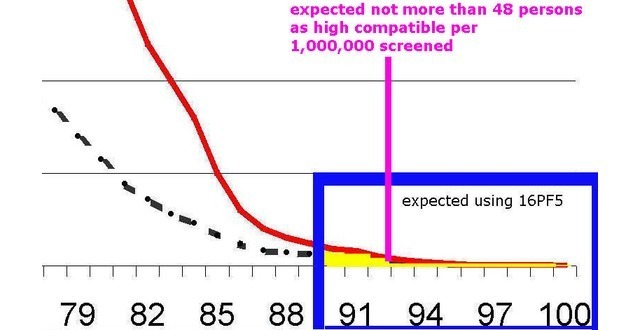 First person in the World to suggest Online Dating sites should show Compatibility Distribution Curves to every and each dater. First person in the World to compile research about Theories of Romantic Relationship Development. First person in the World to openly say Conferences for the Online Dating Industry like iDate and ODS are rubbish. Do you think you can innovate and revolutionize the Online Dating Industry without taking into account the above list? No way. LIFEPROJECT METHOD added a press mention.